This film was among my top titles for the year and I would thoroughly recommend it. It is a widescreen film so it will lose significantly on television but if that is the only way to see it then it is worth watching. Unfortunately whilst it is screening tonight [April 14th] on BBC 2 [including HD] it is not being presented properly. The BBC WebPage lists the running time as ‘2 hours 1 minute’: this despite it also showing a link to IMDB where the running time is given as 128 minutes, [exactly 128m 29s S&S]. Presumably this is because the BBC is squeezing it into a two-hour slot from 9 p.m.
” Having looked in to this further we can clarify that there were in fact no scenes cut from the film ‘Selma’ and therefore no content was missing. I am not sure where the running time of ‘122 minutes’ comes from. Even if they are confusing video with film the number still seems incorrect. Film runs at 24 fps whilst video in the UK runs at 25 fps: so in this case it would be five, not six, minutes shorter. As for ‘speeding up the end credits’! The credits of Selma commence over the final rally in Montgomery with King’s speech; there follows reprisals of the key characters in the film accompanied by the Aacademy Award winning song Glory performed by Lonnie Lynn and John Stephens. The Academy of Motion Picture Arts and Sciences treated this film poorly. Only one award and trailing behind the inferior Birdman (2014). This is the sort of disdain that the actual Martin Luther King and the many protesters at that time suffered: [and of course, a lot worse]. The actual transmission ran 118 minutes. As threatened the BBC channel ‘speeded up the credits, but not all of them. So we had the frames with the cast and the initial rendering of ‘Glory’ at normal video speed: but then the rest of the credits, and the accompanying song, went by too fast for either the text or the music. And then, despite the claim in their email, part of the content was cut: about three minutes of credits and the rendition of ‘This Little Light of Mine’ sung by ‘workers in Selma’. All this to ‘fit in’ the schedule which followed the video film with ‘Later… with Jools Holland’. The latter was allowed to continue till 1205 a.m. The logic of this escapes me. What seems clear is that the film was programmed because the 14th was what is commonly called ‘Good Friday’ and the subject and characters seemed appropriate to that religious day. Presumably when we get The Passion of the Christ on BBC its protagonist will have to expire right on the hour! This event is organised by the Northern section of the Campaign for Press and Broadcasting Freedom. The Unity + Works Hall is only two minutes walk from the Wakefield Westgate Railways Station. This full and varied afternoon kicks off with 45 minutes of Tony Garnett talking about his newly published memoir. Garnett is a key figure in alternative television and film, and his work with Ken Loach in the 1960s and 1970s is seminal, both for television and for working class representations. The Price of Coal were two interlinked television plays for BBC 1 filmed in 1976. They were scripted by Barry Hines, produced by Tony Garnett and directed by Ken Loach. Meet the People (1977, in colour) is broadly a comedy set round a royal visit to a colliery. The follow-up Back to Reality, is a darker more sombre play. This first play runs for 75 minutes. And then there will be the appreciation of a key collaborator and writer Barry Hines by Ian Clayton, about 45 minutes. So a rich three hours celebrating some of the best and most politically felt work on British Television and the filmmakers who created this. This classic television series dramatising a left-wing Labour Prime Minister (who makes Tony Benn look wet) has turned up three times in the last few days. Chris Mullin took the opportunity of an article in the Guardian (11-08-15) on the Labour Party Leader Election to plug his original 1982 novel (Corgi Books). He re-appeared on Sunday on Radio 4 (16-08-15) suggesting how the novel’s premise might work out if Jeremy Corbyn actually won. Then again in the Guardian (14-08-15) David Stubbs proposed that ‘Your Next Box Set’ should be this drama. Picking up, like Mullin, on the zeitgeist, he suggested that the drama was probably more relevant now than in 1988. The television drama was scripted by Alan Plater and directed by Mick Jackson over three episodes. For me the series improved on the novel both in terms of drama and in terms of its political representations. The stand-out feature of the television drama is the portrayal of the protagonist Harry Perkins by Ray McAnally: who is both believable and charismatic. 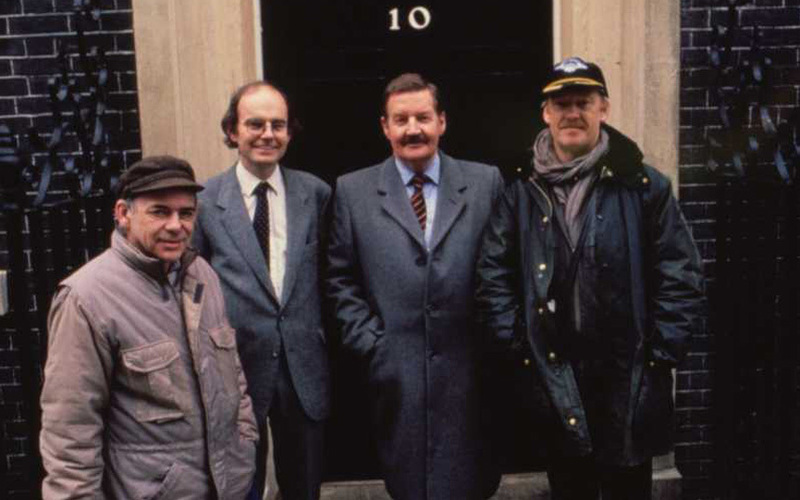 Among my favourite scenes were a series of Press Conferences presented by Perkins at Downing Street: in each Perkins is more outrageous than in the last. Then there is a meeting between Perkins and his Cabinet colleagues and the US Secretary of State and his henchman. But it is the resolution of drama that offers the greatest improvement: Plater’s seems to me certainly more dramatic but also more likely. This would seem to be partly explained by Mullin’s own politics: he considers Corbyn ‘unelectable’. So I would support Stubbs’ suggestion. However, Channel 4 might take the opportunity to retransmit the series. That they have not done so yet suggests they think that the series would be better saved for 2020. Note, Wikipedia lists a more recent version of the novel, Secret State (2012), which I have not seen. Another loss for the British Film Industry. Jack Gold did not have a high profile but he directed some fine cinema and television films. My first encounter was The Bofors Gun (1968), set in the era of National Service and with compelling performances from Nicol Williamson and David Warner. His following film The Reckoning (1970) also starred Williamson returning to Liverpool on the death of his father. Both were sharply made with complex characters and powerful plots. The Sailor’s Return (1978) dealt with racial prejudice before the issue acquired a sharper focus on film. Some of his later films lacked the subtlety of his earlier work. The Medusa Touch (also 1978) had a ludicrous plot: but the climatic disaster remains a must for subversives and republicans. There were also many fine films for television. The Lump (1967) was a Wednesday Play written by Jim Allen, dealing with casualised labour with a strong social consciousness. And Mad Jack (1970) was an effective treatment of the ordeal of Siegfried Sassoon during World War I. Then there was the better known The Naked Civil Servant (1975), splendidly led by John Hurt. Later there was The Praying Mantis (1983, in two parts) with an unsettling Cherie Lunghi in the lead. And later again one of the best of and the final Inspector Morse films, The Remorseful Day (2000). Jack Gold was a fairly prolific filmmaker, look at his list of productions on IMDB. 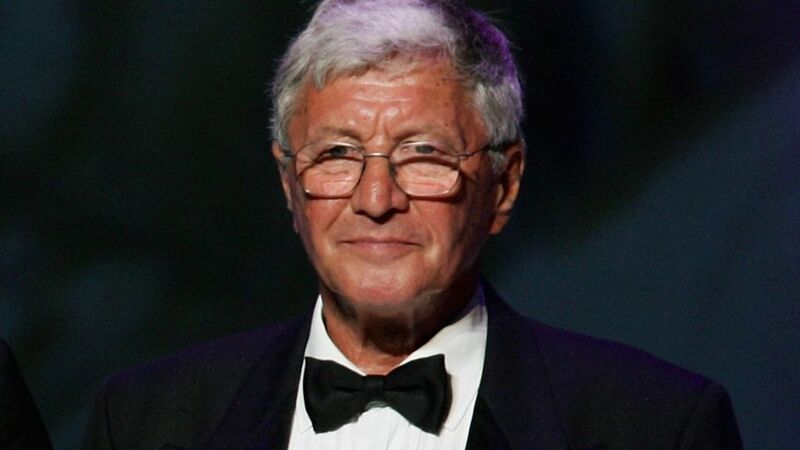 Looking back, apart from his skills in film production what is clear is that he was also a fine director of actors: and he worked with some of the finest in British film and television. This symposium was put together by Jonathan Wroot who hosted it at the University of Worcester on May 23rd. One of the features of contemporary film studies and its interaction with television studies, media studies and cultural studies is the emergence of new specialist fields of study. Given an environment in which research students and young academics are under pressure to present their research findings and eventually to publish, it’s not surprising that such developments are more and more visible. In this case a growing interest in the ‘home media market’ is very much to be welcomed. It promises to address some of the gaps in traditional film studies (in which distribution is generally ‘understudied’) and the enthusiasm(s) of the researchers themselves as ‘fan scholars’/’scholar fans’ is an important factor in opening up links with other disciplines. The symposium offered twelve papers in all and there would appear to be enough material here to eventually produce a published collection. Andy Willis from The University of Salford, who was at the event, has agreed to be a potential editing partner. Jonathan introduced the day by presenting some of the data relating to the ‘Home Media’ market in the UK. One of the problems associated with studying the field is that relatively little information about sales is made public compared to the box office data for mainstream cinema releases. Useful data is often extremely expensive to obtain and, of course, compared to cinema admissions there is no way of ever discovering genuine audience numbers since films on DVD/Blu-ray or indeed on digital download may be viewed by one person or several. In the same way repeat viewing figures remain unknown. This can mean that even in the trade press, perceptions about the decline of ‘old’ platforms and the rise of the new are potentially distorted. In 2014, despite the prediction of serious decline, ‘physical’ video media remained the dominant format in the UK in 2014 with 63% of the £2.18 billion home video market. There was a significant ‘swing’ towards online video in terms of streaming, downloads etc. of around 26% so on these figures, digital online will perhaps be dominant by 2016 – but nothing is certain and there is still life in physical video media, both retail and rental. (The 2014 total for the UK theatrical market was £1.058 billion (European Audiovisual Observatory)). The various papers presented suggest a vibrant market with very varied products and audiences. Jonathan’s own paper explored his work on Japanese cinema and used the various releases of Battle Royale (Japan 2000) on disc in the UK to demonstrate how first Tartan and then Arrow developed different packaging ideas to maximise sales of this popular title. He then demonstrated how Arrow had used similar strategies in relation to other back catalogue titles and how they had developed specific (colour-coded) genre labels. The conference introduction and slides re Arrow are available here: https://jlwroot.files.wordpress.com/2015/05/ddd-introduction-jw-2015.pdf Jonathan hopes that all the papers will eventually be accessible online. In the space here I’m just going to outline very briefly what was on offer. Shane O’Sullivan from Kingston University is a documentary filmmaker who has developed his own distribution label E2 Films and his informative paper looked at the market for documentaries in UK home video. Documentaries are appealing to young filmmakers because of the potentially modest production costs – but are difficult to place with distributors and in turn struggle to obtain cinema screenings. The difficulty in finding outlets is mainly because the films lack stars or genre attractions – the two factors cinemas find easiest to promote. Television is equally closed to documentaries with only the BBC with 40 slots and a difficult ‘Pitch’ process that discourages new filmmakers. Shane gave us lots of information based on his own experience in setting up his own label. Ksenia Malykh from UEA presented a paper on ‘VOD, DVD and family everyday viewing and consumption practice’. She highlighted how for the families in her sample, watching DVDs as a family was more important than broadcast TV watching and how carefully parents made decisions about buying DVDs (when programming wasn’t available on Subscription Video on Demand (SVOD) or when likely repeat viewings meant purchase rather than rental was sensible). Her paper is available to download on Academia.edu. The third paper in the first panel was given by Roderik Smits from the University of York. ‘The Distribution Business: sales agents, gatekeepers and digital platforms’ addresses a field of media activity that doesn’t get enough attention and I was particularly pleased to learn about a new (to me) agent in the distribution process – the Content Aggregator. Roderik introduced us to one of the main companies with this role. According to its website, “Under the Milky Way is a global service company dedicated to the digital distribution of films and audiovisual programs. Its main activity is to act as a content aggregator for several Video on Demand (VoD) platforms (iTunes, Sony, Google . . . ) . . . [and to] ensure the operational, editorial, marketing and financial interfaces between the rights-holders and the VoD platforms”. Panel 2 offered four case studies into how specific films or filmmakers have been released on DVD in the UK and what kinds of issues and debates have developed around these releases. Paul Elliott from the University of Worcester presented on the DVD operation mounted by The London Filmmakers Co-op and Lux Films, arguing that this was ‘curatorial’, drawing on art gallery practice in distributing the work (usually via collections) of UK avant-garde filmmakers. Elliott Nikdel, University of Southampton, explored the release of A Field in England (UK 2013) on four platforms simultaneously on the same weekend – cinema, DVD, VOD and free-to-air Channel 4 TV. Elliott demonstrated that the three ‘paid for’ options generated roughly the same number of ‘purchases’ each (5-7,000) after three months despite the possibility of watching the free TV broadcast. But perhaps the most interesting aspect of this presentation was the suggestion that VOD and DVD ‘blurred’ the social class boundaries that might be perceived to exist when the film was screened in a specific chain of cinemas (Picturehouse). In other words, the purchasers of the home video versions might have been deterred from attending cinema screenings because of the middle-class ambience. This point generated some discussion. It is clearly worth pursuing but needs care as the programming policies and audience development ideas of cinemas showing ‘specialised films’ vary widely. Fraser Elliott from the University of Manchester offered a close study of the packaging for multiple releases of the Wong Kar-wai film In The Mood for Love (Hong Kong 2000) in a paper on ‘Practising Nostalgia in British Film Culture’. Given that East Asian Cinema struggles for recognition in the UK, it is remarkable that this film has achieved such a high profile and Fraser looked at different editions of the DVD and Blu-ray releases in the context of praise for the film by UK critics. In particular he demonstrated how the critics and the DVD distributors suppressed the film’s discourses around Hong Kong culture and social history and instead emphasised the ‘universal’ romance elements – even going so far as to use images and music that do not appear in the film to promote it in the UK. The only ‘non-Elliott’ on the panel, Lee Broughton, similarly presented on the multiple releases of a specific title, in this case The Good, the Bad and the Ugly (Italy 1966) – again a film title with a very high profile for critics– and fans. Lee focused on changing technologies and looked in detail at recent re-releases which ‘restored’ footage cut from the UK/US versions of the first cinema and VHS releases. In the latest Italian restoration DVD it appears that the colour-grading of the film was quite different in Italy than in the UK (more yellow, less blue) and that in the restorations a new 5.1 Stereo soundtrack has replaced the original mono, involving artificially altering, for example, the sounds of gunfire. These changes have not gone down well with many UK fans and the whole process of ‘restoration’ and ‘completion’ appears questionable – what is the ‘Director’s version’ or the ‘original’? I find this interesting but it occurs to me that home video viewing always depends on how the individual sets up their own electronic equipment and what kinds of audio and video images they favour. Panel 3 in the afternoon also had four papers, all of which to a certain extent continued the theme of looking at how DVD distributors packaged specific groups of films. James Mason, University of Leeds, took us through the development of Disney’s changing strategies re the cyclical re-releasing of its most successful animated films in theatres through the reluctance to embrace VHS before becoming a series of ‘classic’ DVDs. James contested what ‘classic’ meant in this instance (in the US they are apparently ‘masterpieces’. Christopher Holliday, King’s College London focused on the DVD release of Pixar’s Finding Nemo (US 2003) looking closely at how the menus and presentation of the film on DVD offered a new kind of viewing experience. This demonstration of the sophistication of presentation by the studio introduced ideas about “the collapse of promotion and product” creating a new kind of media synergy. The third paper by Jennifer Gillan from Bentley University in Boston, MA was titled ‘From Sony to Shout! Factory’: Distributing TV on DVD’. Shout! Factory is a US DVD label set up by the original founders of the archive record label Rhino. Jennifer focused on its distribution of old TV series, introducing us to Maude (1972-8) a controversial series ‘spun-off’ from All in the Family and starring Bea Arthur. This series engaged in many of the debates around feminism in the early 1970s. Jennifer also mentioned several much older series that have formed part of her research including the Ozzie & Harriet Show from the 1950s (which requires access to archive material). The most obvious debate arising from this new access refers to the ‘reading’ experience of the DVDs in the manner of contemporary ‘binge viewing’ of box-sets compared to the weekly exposure to shows like Maude with at that time little chance to review. Jennifer didn’t discuss syndication – re-runs of popular shows on other channels – but I’m guessing that Maude might not have been syndicated – although it did run for 10 series. One important point is that although the rights to these archive shows were often originally held by major studios, the majors were not themselves concerned to exploit those rights. This generated some discussion which also referred back to the first two papers on the panel and the recognition that Disney/Pixar was more conscious of protecting its legacy/brand image and ‘curating’ its back catalogue. The final paper from Oliver Carter, Birmingham City University was added to Panel 3 because two other papers had been withdrawn. It offered something very different in terms of its case study but fitted in well with the arguments being pursued. Oliver introduced us to ‘fantrepreneurship’ in the form of the American DVD label Vinegar Syndrome, set up by fans of ‘exploitation cinema’ to archive and preserve exploitation titles and to make them available on limited runs to other fans. Oliver provided us with useful figures re the costs of acquiring film rights, performing high quality digital scans and printing small runs of DVDs and Blu-rays. He explained that many of the films were now in the public domain in the US – meaning that once an archive title had been scanned there was no legal protection if someone else copied and printed discs. On the other hand, fan interest was such that the company had used forms of crowd-funding for some operations. This was a very worthwhile event and I felt I learned a lot. As well as new ideas and information about cinema and TV material I previously knew little about I also collected important book and journal references and useful online resources. Thanks to Jonathan Wroot for all his hard work in organising the day and to all the other participants. I hope the proposal for publication is successful. I stumbled across this Rainer Werner Fassbinder + SF recently and was intrigued to see what the master of melodrama would do with the genre. Predictably, I guess, Fassbinder did what he normally did: use a highly stylised mise en scene to great effect. The two-part television production, Fassbinder made a number of TV films, was based on Daniel F Galouye’s novel, Simulacron-3 (1964); later remade as The Thirteenth Floor (Germany-US, 1999). I won’t give too much away of the intriguing narrative which, while it may not have inspired The Matrix, certainly was a precursor. Sensibly Fassbinder eschewed SF iconography though, as this excellent essay points out, they shot some scenes in Paris shopping malls, places that looked futuristic in West Germany at the time. Instead Fassbinder ramps up his usual stylised mise en scene with elaborate set-ups and playful imagery, such as the one above. He also uses telephoto zooms imaginatively to give the narrative world an unsettling quality. Mirrors are typically used in melodrama to signify issues of identity and so Fassbinder was clearly at home with much of the plot which focuses upon Fred Stiller’s (Klaus Lowitsch) attempt to find out the truth about the computer simulated world he is working on. Lowitsch is one of many Fassbinder regulars and recognising the actors adds a surreal quality to the film as they are playing out of their usual genre. I thoroughly enjoyed part one but the first hour of the second episode focused on a fairly unconvincing ‘chase Fred’ narrative; and the ending didn’t satisfy. However, Fassbinder wasn’t simply addressing melodramatic questions of identity, he was also making a political point about private interests influencing government policy. Forty years on issues of identity (privacy) in cyberspace, and the influence of business interests, are more relevant that ever. World on a Wire is certainly worth a watch by fans of SF and Fassbinder. 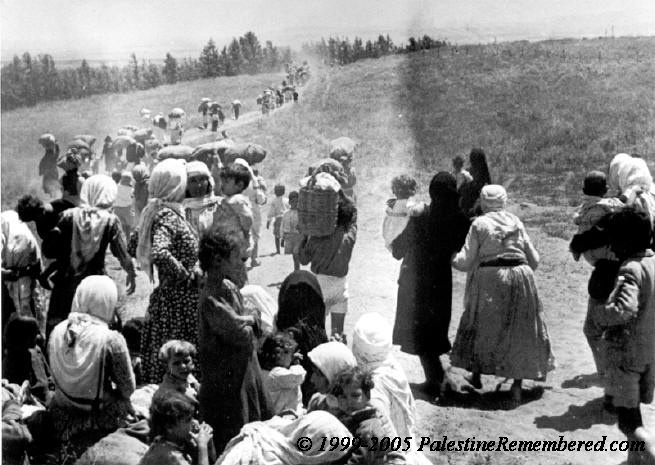 This is a documentary film about ‘the catastrophe’ that befell the Palestinian people in 1948. It traces the history of the colonial policies and actions that led to their expulsion from their homeland. It was made by Palestinian filmmaker and journalist Rawan Damen in 2008 and transmitted on the Al Jazeera Arabic network. Now an English-Language version is being transmitted on their English Television network [Freeview 83 in the UK, with other language versions also available]. It runs for 200 minutes and is going out in four parts. Two episodes have already been transmitted but are being repeated. Rawan Damen’s film is a fairly conventional television documentary using ‘talking heads’ and film and photographs. Much of the material and comment has been available in academic and historical publication. But now it is being presented in a fairly popular medium and it has the advantage of using visual material, which brings an increased power to the story. The film starts with the Napoleonic invasion of Egypt, a key event that was analysed by the Palestinian writer Edward Said in his great work Orientalism. The first two episodes address the British occupation and Mandate of Palestine following the First World War. In was in that conflict that the new Zionist Movement achieved its coup of the Balfour Declaration – the British support for a Jewish State was seen as a way of ensuring the British presence and it’s interests across the Middle East. It is difficult to decide which was more objectionable: the British colonial manipulation of a people and its lands, or the Machiavellian manoeuvrings of the Zionist in pursuit of a ‘Greater Israel’. Certainly the policies and practices of each have much in common. The British Mandate saw the use of house arrests and executions, concentration camps, house demolitions, the exiling of leaders and the harassment and dissolution of Palestinian institutions. Just as British laws from the Mandate still serve the Zionist State, so do the brutal methods pioneered by the British. Episode two focuses on the Palestinian resistance and revolution from 1936 to 1939. This is a part of the tale which gives lie to Zionist clams of ’a land without people’; and claims that a Palestinian nation did not exist. It also highlights the weakness and limitations of the Palestinian and Arab official leaders. Their failings were to be an important aid to the Zionist take-over in 1948. The other was the development of the Zionist military forces, which were happy to use actions now loudly condemned as ‘terrorism’ by Israel. Rawan Damen has added an impressive range of commentators, including both Palestinian and Israeli historians, and ordinary Palestinians including refugees from Al-Nakba. This and the impressive array of actual film from the period really create its effect. There has been excellent research to retrieve film that has not been seen for a long time, including material in the British Archives. This is both an important documentary film and contribution to the struggles of the Palestinian people. Fortunately Al Jazeera tend to repeat their programme several times. So it will be possible to catch up with episodes one and two if you missed them. Episode three will take us to the key year of 1948. Definitely tune into Al Jazeera – the channel is worth watching for a different slant on the news. I was shocked when Anthony Minghella’s death was announced last week. He was far too young and it must have been dreadful for those around him. There have been tributes from all sides of the UK and international film, theatre and oprea communities. He obviously helped a lot of people in the industry and was highly respected. I wasn’t that interested in his films which I assumed to be in the ‘international Miramax mode’ and the only one I saw in a cinema was Cold Mountain, which after a fantastic opening battle scene I found quite literally cold and ultimately disappointing. As a result I approached the film pilot of the projected TV series of The No1 Ladies’ Detective Agency with some trepidation. I was further taken aback to discover Richard Curtis was a co-exec producer and co-writer. His presence usually puts me off completely, but I’d heard great things of the novels that were the series’ inspiration and I was intrigued by how Botswana would look on film. The cinematography in the film pilot was by Seamus McGarvey and it was very beautiful — far too beautiful really. The opening sequences had numerous crane/cherrypicker shots that might have graced a mainstream Hollywood feature. Unfortunately, the novels (I’m told) are small scale, gentle tales that don’t need the epic treatment. I have no problem with the BBC screening a series set in Africa (in a Sunday night ‘comfy telly’ slot, just like ITV) and I have no problem with Africa being represented by a gentle comedic series – I readily accept that it’s important to have alternative representations of African stories — they don’t all have to be about civil war, refugees and famine. But . . . I do have problems with this series. I only lasted for less than half the running time and found something better to do. The opening was slow for no apparent reason. It looked like a one hour idea was being spun out over 100 mins or so. The beauty of the cinematography then began to look likeit was offering an alternative to the slow story. But my main concern is that the film isn’t really an ‘alternative’ to the other representations of Southern Africa. In fact it follows the usual British/American strategy of shipping in actors from the US and UK as well as writers, director, producer etc plus some heads of department. The heavy promotion of the film suggested ‘local’ sourcing of other crew, but as far as I could work out, this meant South African crew members alongside a couple of South African actors. Great play was made of being unable to find an African actor to play the lead role. I interpret this to mean that no African actor was considered suitable for a UK/US audience – I’m sure there are Zimbabwean women who could have played the character, or even South Africans. It wouldn’t be so bad if the BBC (or other UK channels) were prepared to put some money into African film production in Anglophone countries in the way that the French do in Francophone countries — or at least show some African film product. South Africa is potentially the major source of African ‘films’ (ignoring for the moment the hundreds of video films being produced in Nigeria and Ghana) but as yet the South African industry has remained in thrall to Hollywood. I guess it was too much to expect the Weinsteins and HBO to do anything very different with The No1 Ladies’ Detective Agency.